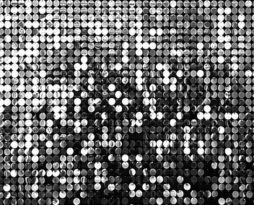 Rent non-fabric backdrops for your Chicago special party event. Get creative with us or use one of our previously designed ideas. 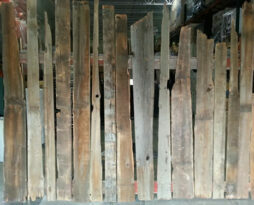 This rustic barn wood backdrop is a stunning display that will be the focus of your special event. We custom built this backdrop from re-claimed barn wood that was taken off a barn that was 115 years old! The wood was left in its natural state with many colors infused to give it an antique rustic feel. This barn wood backdrop is approx. 12′ long and varies in height from 6.5′ to 11′ tall. It is secured using a black fabric covered weighting system to ensure safety. We are able to enlarge this piece to fit you needs given enough time. Please contact us about the possibility. This modern black shelving backdrop is a stunning display that will be the focus of your stage or special event. We can custom build size and dimension for this backdrop. This black shelving backdrop has a hidden look that holds items that can really highlighted using LED lighting on your stage or within your event. 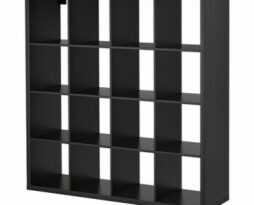 This black standard shelving bookcase backdrop unit is approx. 6′ long and 6′ tall. We currently have 5 units available for a total of 30′. The bookcase shelves are approx. 15″ square. We are able to enlarge this piece to fit you needs given enough time. Please contact us about the possibility. 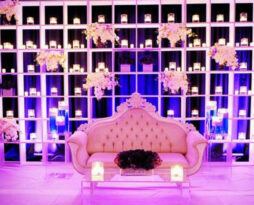 This modern white shelving backdrop is a stunning display that will be the focus of your stage or special event. We can custom build size and dimension for this backdrop. This white shelving backdrop has a modern clean look that holds items that can really highlighted using LED lighting on your stage or within your event. This white standard shelving bookcase backdrop unit is approx. 6′ long and 6′ tall. We currently have 5 units available for a total of 30′. The bookcase shelves are approx. 15″ square. We are able to enlarge this piece to fit you needs given enough time. Please contact us about the possibility.